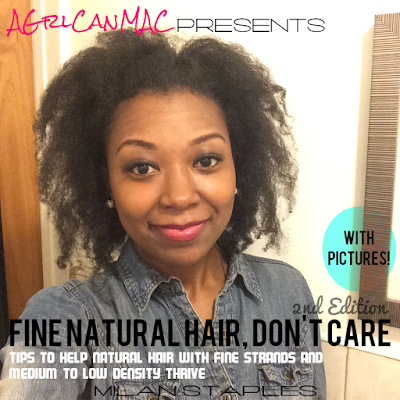 The hair growth tip: I did learn that good ol SLEEP helps with receiving optimal hair growth. Who knew catching 6-8hrs of Zzz's each night could help with hair growth? Now will it take you from a pixie cut to Rapunzel in 4 months? Sorry home skillet, no where close. But it's good to know sleep has other benefits besides keeping us alive and sane. Staying hydrated helps too. I add a lil juice to my water to create flavored water. This way helps me to drink tons of water during the day. Again, I don't think this gets me 5 inches of growth in a month but it provides an optimal growing environment for hair. The moral of this story: There's no fast remedy; take it out of your mind frame b/c it does not exist. Just get an appropriate amount of rest, eat healthy, drink as much water as you can, stay fit/active, take good care of your hair; taking a great interest in keeping your ends oiled/sealed and your hair will do its thang. thanx milan becuz i totally agree! i know some people swear by pills n etc but in reality our hair only grows about 1/2 inch per month. im sure theres an exception of it growin longer due to diets n exercise n etc but folks gotta remember we also shed too! when the debate of solange wig fro' came up, this one chick stood by it bein real. ummm, no!! she clearly had a twa just a few months ago and aint no way she went from 2 inches to 6 in 3 months; i dnt care what type of rain dance she did. I always screw up when it comes to the "keeping ends moisturized" part. No excuses, just sheer laziness. I'm working on that, though. I want to join in on this challenge. Thanks for sharing the information. It's quite helpful for me.